Andrew Adela is an exciting new line of BRIDESMAIDS dresses, offering today's young women high fashion at fabulous prices. These dresses make a definite style statement at weddings and other social affairs. 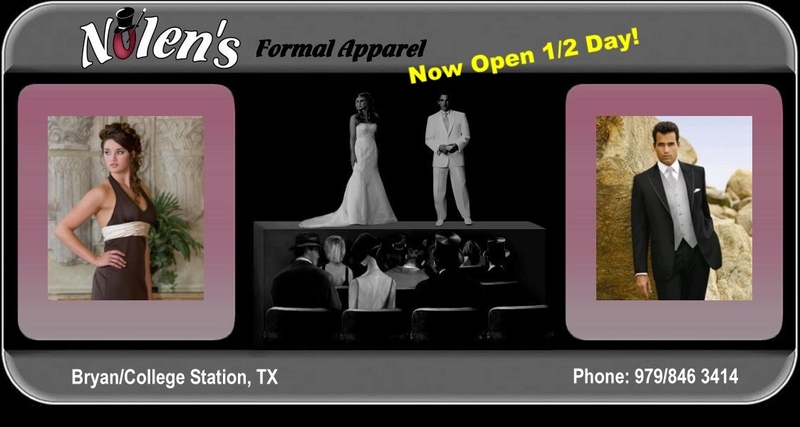 Nolen's Formal Apparel is the Andrew Adela bridesmaids dealer in Bryan, College Station, Brenham, Austin, Waco, TX and surrounding Brazos Valley in Central Texas. Come to Nolen's and see the Andrew Adela bridesmaid collection.